Walking in to a vape shop for the first time can often be confusing, but do not fret. I want you to be able to know what to do and what to look for the first time you walk in there. The house juice will most likely consist of standard flavors or ‘single’ flavors such as, Watermelon, Tobacco, Mint, Strawberry etc. At first, you will be tempted to try these juices because a) they are single/standard flavors, b) cheap and you may not be sure that vaping will work so you will not want to invest much money in to it, and c) it will be the first juice, as a beginner, that the employee will point you towards. MY ADVICE: Do not go straight for the house juice, NOT TO DISCOURAGE HOUSE JUICES ALL TOGETHER. I started out vaping house flavors, but as soon as I went to the premium juices I became a VAPER. House juices focus more on Quantity over Quality. Premium Juice is full of different flavors that are not ‘so called’ standard. These juices will be packed full of flavors, I guarantee that once you try a premium flavor, you will never go back to house juices. The flavors that are popular today are cereals, donuts, and custards or creams. These are the flavors I advise you to try. Premium juices focus more on Quality over Quantity. NICOTINE LEVEL: When first walking in to a vape shop, you may think that you need the highest nicotine level their is, but it is a trick. YOU DON’T NEED A HIGH NICOTINE LEVEL! Start at 12mg Nicotine, (about the strength of a Marlboro Red) this will satisfy the “Needing a cigarette” craving and it will give you a slight buzz. Later on, you should wean down to 6mg nicotine and then to 3mg nicotine (about the strength of an ultra light cigarette). 2) Another thing you will notice when you walk in to the vape shop is that there is a wide range of different devices. When you choose a mod that has all of these qualities, you will certainly quit smoking cigarettes. You want the power because that will satisfy a) throat hit, b) vapor production i.e. clouds, and c) the feeling of smoking a cigarette. You will get the flavor from the power of your battery and tank i.e. atomizer. When you get the flavor that is supposed to be coming from the e-liquid, you will fall in love and feel even more satisfied. You want the battery life because you do not want something that you will have to plug in or change the battery out of every 4 hours or shorter, depending on how much you vape. 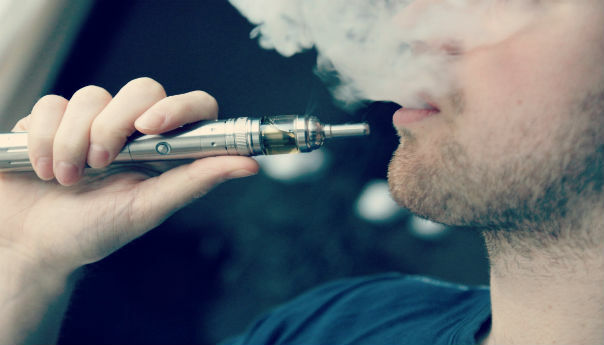 You want the mobility because starting out vaping you are used to having a light pack of cigarettes either in your pocket or in your purse, so you do not want something that you feel is weighing you down. You want versatility because when you upgrade to another tank or mod you might want to be able to use the same tank or mod. I would suggest starting out with a kangertech device because all of their products are universal with one another. I would not start out with a vape “pen” either. 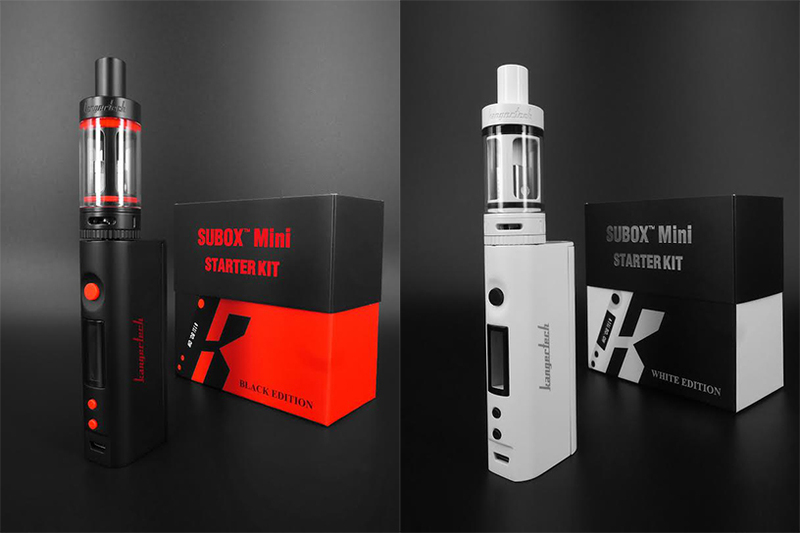 Start out with a battery device that is new, such as the SUBOX Mini Starter Pack. This is great for beginners because it has all of the qualities listed above. Now, the first thing I would do is try some mods, feel them in your hand, check the weight. After that, put it in your pocket, is it weighing you down? Does it feel bulky? It might feel a little bulky, but that’s okay. At first, it will feel out of the norm, but you will get used to it. This is why I suggest the SUBOX, it is light and small. If you have picked this device, you will notice the tank. You may have previously messed around with and tried the starter pens that every vape shop offers and these tanks are similar and they work the same way. 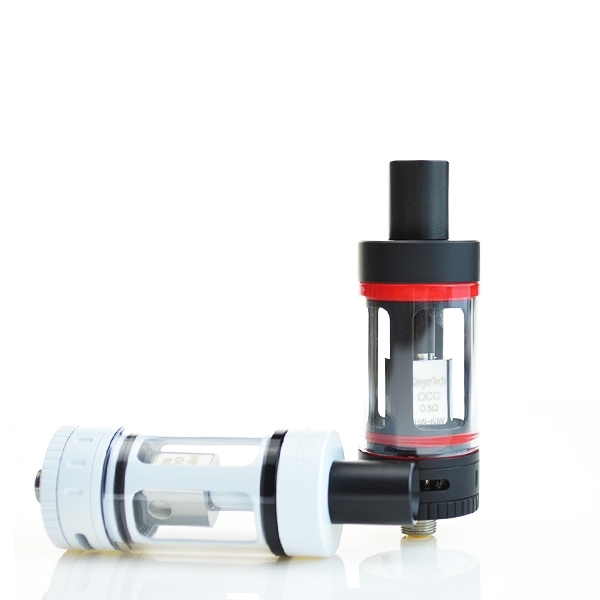 ATOMIZERS: Now that you see the tank, you will choose what atomizers to start out with. If you think you are going to start out with 12mg nicotine, then get the 1.2 OHM coil, this will give you a good ‘hit’ but not overbearing and deliver that amount of nicotine perfectly without giving you too much, you might get a little throat hit. If you choose to start out with 6mg nicotine, then go with a .5 OHM coil, this will deliver the nicotine perfectly as well. With this, you will get a throat hit, big clouds, and more satisfaction because of the advantage of adding more power. 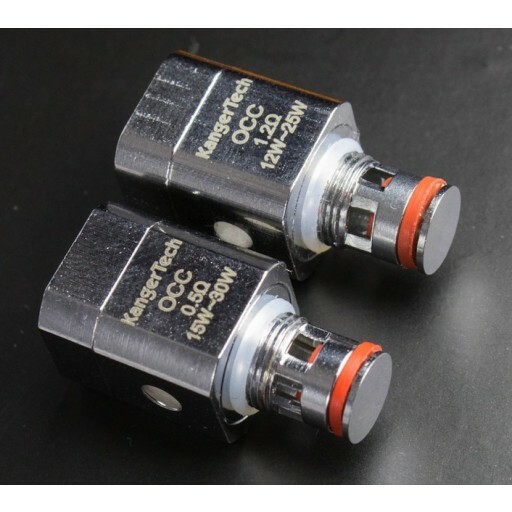 With the .5 OHM coils, you will also want to use 3mg nicotine with those as well. THERE ARE NEW ONES OUT NOW, BUT I RECOMMEND YOU START WITH THESE. Now that you have chosen you mod, you have learned about your tank, now you can choose what liquid to buy. FLAVORS: I don’t know about you, but I really like cinnamon flavors, cookie flavors, donuts, and cereals. If you like fruit flavors, I recommend going with a fruit flavor that has a custard or cream. These flavors are very satisfying. Act as though you are a kid in a candy store, choose your favorite candy and get it or if you like bakery flavors, choose your favorite dessert. If you choose a flavor that you already know you like, you are more likely to quit cigarettes. Continuously use throughout the day to keep the nicotine in your system. This will help to keep the cigarette cravings away because you will already have the nicotine in your system. Whether you are in the bathroom or on a break, make sure you use it. Even if you are at work, step outside for a sec and puff it a couple of times, do this to keep it in your system. If you run out of e-liquid, get more. 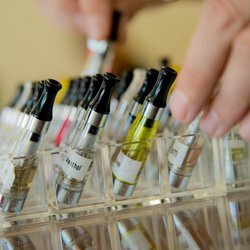 This is something I have heard a lot of people doing and that is never making the time to go to the vape shop to get more e-liquid. A lot of people will give up easily because they will not push themselves. Sure, a gas station may be close buy and you could just buy a pack of cigarettes, but take the extra mile and get to the vape shop, it is worth it. 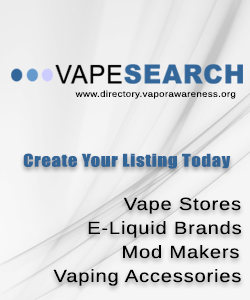 Beginners, starting out can be confusing, do not stray to call your local vape shop to help you. No one wants to seem stupid, I get that. It is imperative, though, that if you are having an issue, call it in and ask for help. 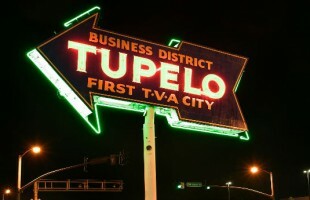 If a vape shop is not open, look it up online, or call a vape shop in another state that is still open. If you need help, your vape community is there for you. Change your coil! A lot of people have gone back to smoking because their juice “went bad”. A lot of people don’t want to take the time to go get another atomizer. My advice is that when you buy a set up, buy a WHOLE PACK of coils, not just one or two. A coil for the SUBOX will last you roughly a week or so before you need to change it out, this is if you are constantly vaping everyday. When it starts to taste burnt, change it. Why wait? 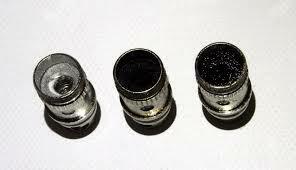 If your coils start to look dark like the two on the right, then it is time to change it out. If you break something on your device, Ask for a replacement part. There are replacement pieces available for almost any setup that you buy. You will also most likely be able to buy the replacement part at your local vape shop. Keep your device charged, just like you would a cell phone. Starting out, you may forget to charge your device, DON’T. Always charge your batteries before you go to sleep, that way when you wake up you have full battery for the whole day. REMEMBER: If someone is attempting to sell you a starter kit with the devices that look like small pens, do not buy it. 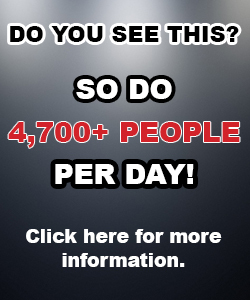 It will not help you quit as well as the device that I have shown you. This is the best mod to buy first.